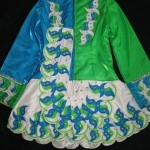 Bright & beautiful satin Taylor dress for sale. 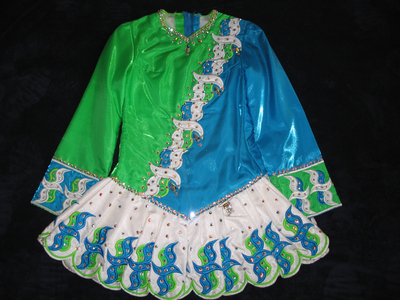 Approximately 1 year old would suit a dancer 14-15 years old or about 5’4” tall. We’ve added hundreds of Swarovski crystals, medium & large as well as small medium and large teardrop shaped crystals for extra sparkle. 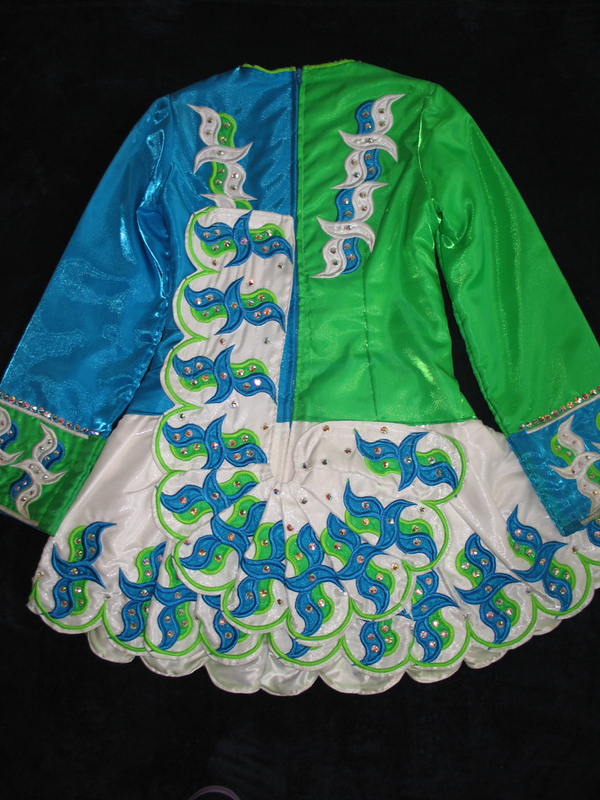 Together with the bright colors and beautiful satin material this lightweight dress has amazing stage presence! Very clean and no odors. 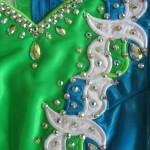 One inch of let down all around the skirt as well as on each side of bodice. 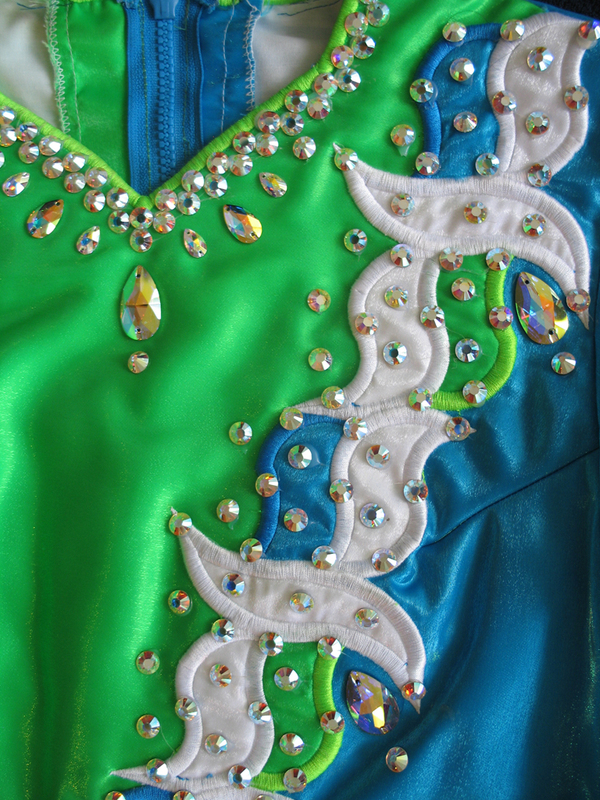 For $850 not only is shipping within the US included, you will also receive a green dress bag, lime green kick pants, custom headband as well as a beautiful custom tiara adorned with 10 large teardrop Swarovski crystals. Priced to sell!